Labor party lawmakers attempting to hold new primaries in frantic effort to get rid of Avi Gabbay amid party's implosion in the polls. Lawmakers and key Labor Party activists are calling on Chairman Avi Gabbay to vacate his position for another candidate in light of Labor's free fall in the polls. MK Eitan Cabel is pushing for a primary that will determine who will lead the Labor Party in the upcoming elections: "I have nothing to apologize for and explain," Cabel told Yedioth Ahronoth. "We are on the threshold of the threshold, with Gabbayin the chair of the party that established the state and on which Ben-Gurion, Eshkol and Rabin sat, Avi Gabbay, who can take the curtain off us." According to Cabel, the fact that the Labor Party is getting 7 Knesset seats in polls "means that we may not exceed the threshold." Cabel added that "polls show that the public expresses a lack of confidence in us and we can not continue to behave as if we are cut off in a bubble. I will do everything to save our home." Knesset Member Ayelet Nahmias-Verbin is also pushing for a new leader to step in. "Gabbay decided to give a divorce to the Labor Party and Tzipi Livni, and the responsibility lies on his shoulders." The legislator called for "making connections in the center of the political map and if he can not do so, then he must let someone else complete the task. " Abie Benjamin, a well known activist member of the Labor Party convention, is working to convene the party convention and demand new primaries for the party's leadership. "We have a state to save and we do not have the privilege of destroying the possibility of winning the elections because of Gabbay," he said. Once the largest party in the Knesset, Labor – which ran as the ‘Zionist Union’ joint list in conjunction with the Hatnua party in 2015 – has failed to win the premiership since Ehud Barak’s defeat of Binyamin Netanyahu in 1999. Labor managed to win 24 seats three years ago, coming in second to the Likud’s 30 mandates. Since then, however, the party has lost ground in nearly every poll. A poll earlier this week showed the party gaining only 7 Knesset seats, a steep decline from its current 24. 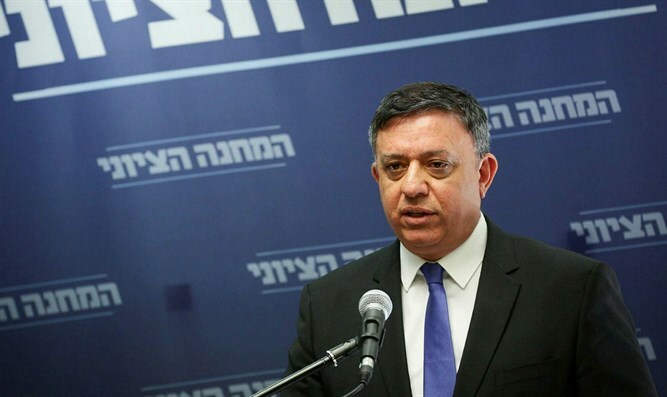 Labor's decline in the polls has left Avi Gabbay, a former Environmental Protection Minister for the Kulanu party in Netanyahu’s cabinet, facing growing criticism within his own party. In September, multiple party lawmakers shed light on the escalating dissent within the party in an anonymous interview with Ma'ariv. Gabbay, one Labor official - who previously backed the Labor chief - told Ma’ariv, is working to strip the party of its ideology, and turn the faction into a vessel for his own personal political ambitions; accusing him of “Kahlonization” – referring to Finance Minister and Kulanu chief Moshe Kahlon. When veteran Labor MKs urged Gabbay to change his leadership style, warning that he was harming the party’s electoral prospects and his own political career, Gabbay reportedly lashed out. Party members who heard Gabbay’s comments claimed they were intended as a threat, saying they were reminiscent of a “mobster’s warnings, rather than the talk of a party chief.